Frenemies is the term coined to describe the friendship between rivals. And today, a video showing Amazon’s Echo and Google Home has become viral proving how gracefully two rivals can co-exist. It is not an unknown fact that Amazon’s Echo and Google Home are going head to head in a battle for claiming throne over smart speaker segment. Amazon’s personal assistant Alexa is the voice service on Echo speaker while Google Assistant powers Google Home. Today, a video by a YouTuber shows Home and Echo side-by-side. It is not yet clear whether both the devices can communicate with each other or is it a part of their generic responses. Echo’s response sounds more generic as it does not mention “Google Home” while Google Home’s response looks like an easter egg as it includes the name – “Alexa.” Or maybe this is simply how Google Home adds the name of the person whom it is supposed to say hi. In this case, the user asks it to say hi to “Alexa,” which is why Google Home included the name to make the conversation more personal. Whatever may have been the case, but this video does come across as sweet. It has got us wondering about how cool it would be if these two devices get the ability to communicate with each other. Imagine the kind of questions that might surface during the conversation. Both Google and Amazon are running head to head in the race to get more users. Recently, at the I/O 2017, Google unveiled a slew of new features for Google Home including hands-free voice calling. 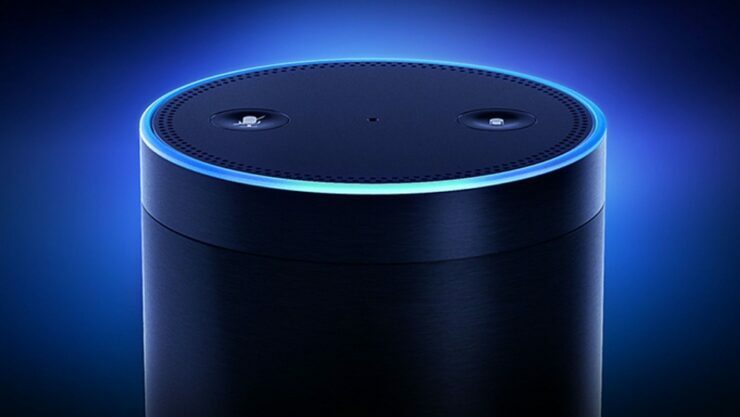 This feature debuted earlier on Amazon Echo and has also been criticised for its privacy flaw. What’s your take on this videos? Would you like to see these two devices communicating in the future? Share your thoughts with us in the comments section below.